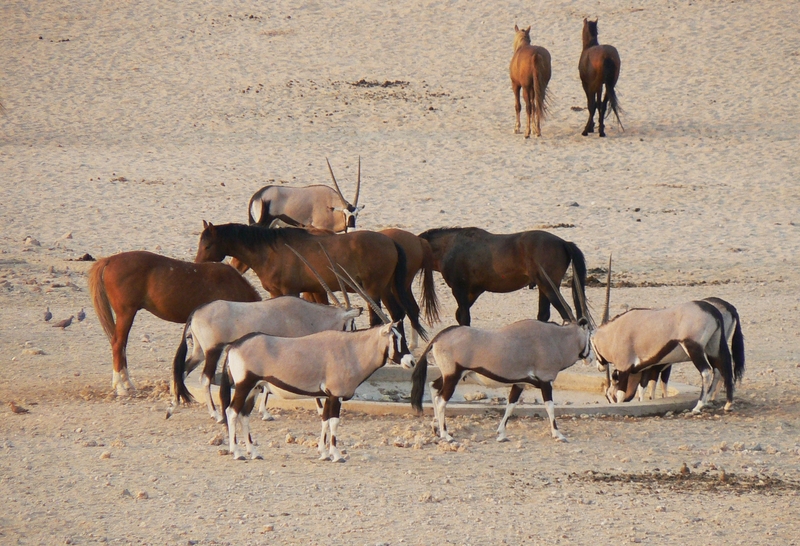 Dr. Claudia Notzke in her research of the wild horses of the world has just returned from an adventure in the African country of Namibia. Here she met up with a another wild horse researcher and biologist Telane Greyling, who has been studying the wild horses in this country for 17 years. In her e-mail to me Claudia described her adventure in this country and described her trip as “highly successful”. 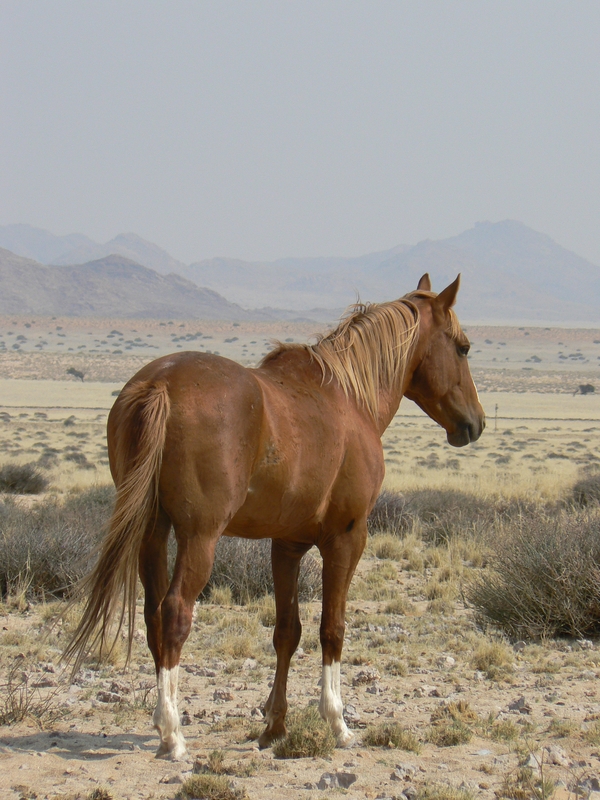 When I look at the pictures she sent of the Namib wild horses I am surprised as to how they have survived in such a harsh environment. It is also amazing that a country described as “third world” has the appreciation to recognize the horses as part of their history. Much more civilized than our current governments attitude towards our wild horses. 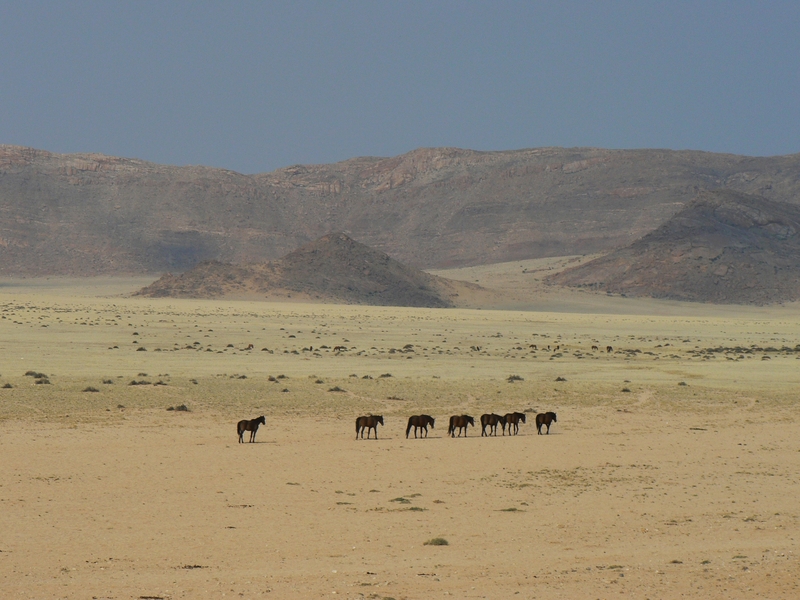 I have attached a brief dialoque by Dr. Notzke on the Namib horses. 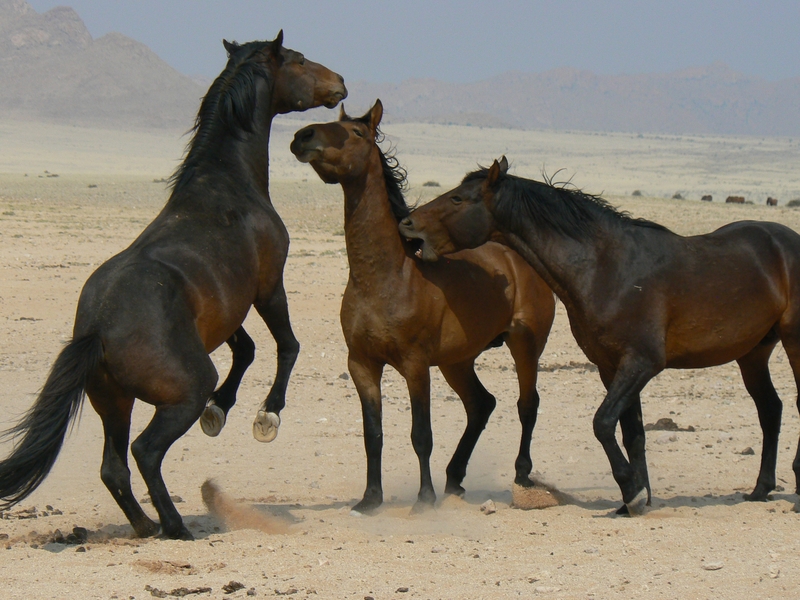 Prior to her trip to Africa, Dr. Notzke had also travelled into the “Brittany Triangle” of BC to research the herds of wild horses that remain in this part of British Columbia. The herds here are quite similar to our Alberta wild horses and face many of the same dangers and attitudes. Thank you Claudia for all your time in trying to help WHOAS protect and save the Wild Horses of Alberta.